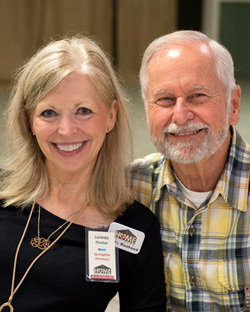 Larry D. Fincher is a co-founder and Director of HomeBuilders Ministry, a ministry of Pathway Baptist Church in Fayetteville, Arkansas that “equips families for successful living God’s way.” Larry also serves on the staff at Pathway. He has presented family and leadership seminars, conferences, and retreats nationally and internationally. Larry earned Bachelor of Science and Master of Science degrees in electrical engineering and has over forty years of leadership experience in the church, corporations, civic, and professional organizations. Within the church he has held the positions of teacher, youth sponsor, deacon, clerk, and pastor and has chaired building, finance, personnel, missions, and pastor search committees. Before taking early retirement he was an employee of Entergy Corporation for thirty years holding various leadership positions from front line supervisor to director at the executive level. During his last ten years with the corporation he led major reorganization efforts, developed business strategy, and formed a corporate university.